How do I view my bandwidth usage? Use the Account Center bandwidth monitor to stay on top of your bandwidth use and any overage charges. Log into your Account Center. From the Domains tab, select your domain. 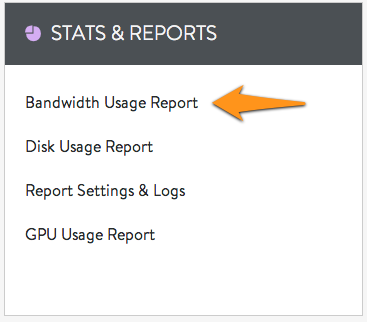 Click on Bandwidth Usage Report from the Stats & Reports menu. 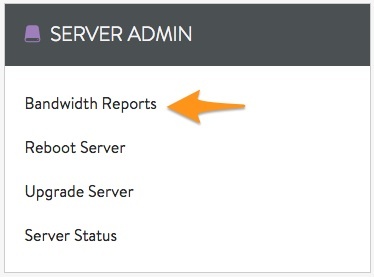 Click on Bandwidth Reports of the Server Admin menu. 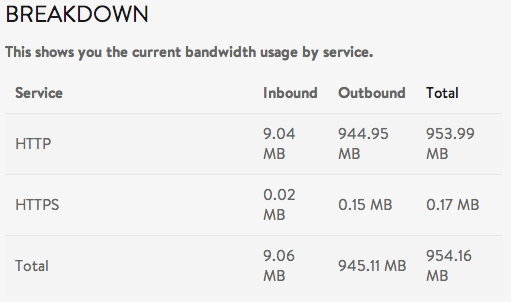 You will now see a Summary and a Breakdown of your bandwidth usage. Bandwidth Limit - The amount of bandwidth that comes with your hosting package. Bandwidth Used - Your inbound, outbound, and total bandwidth use, in megabytes. Bandwidth Available - The amount of remaining bandwidth on your hosting package, in megabytes. A sample current bandwidth usage report is shown below. How much am I charged for bandwidth overages? Check out our VPS hosting options.